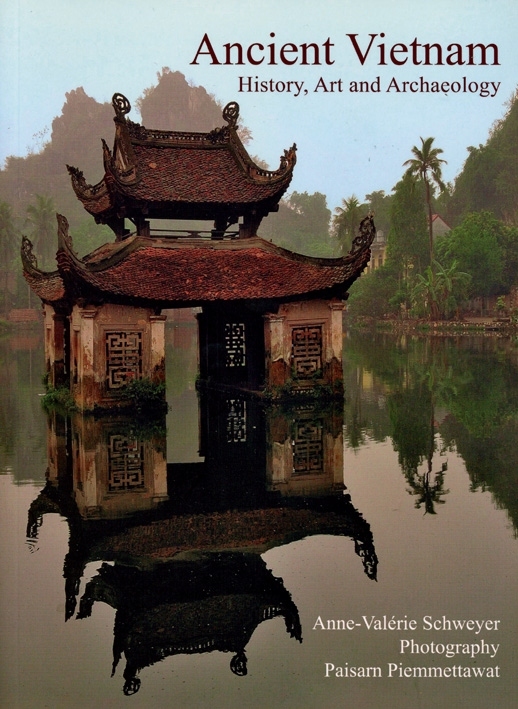 I recently received a copy of a new book entitled Ancient Vietnam: History, Art and Archaeology by Anne-Valérie Schweyer, a French scholar whose specialty is Cham epigraphy. It was published by River Books in Bangkok. River Books has published some very nice volumes which are essentially “travel guides for educated people.” They are beautifully illustrated books which contain historical and cultural information about places in Southeast Asia, and they usually include references and a bibliography so that even scholars can find them useful. Shweyer’s work unfortunately does not contain references or a bibliography. It also contains some embarrassingly out-dated information, such as the claim that “the term Việt refers to an ethnic group, probably coming from southern China around the beginning of the Christian era.” So the book has its weaknesses. Do you see the pattern here? It’s the Cham first, and then the Việt. The Cham first, and then the Việt. And this is how information is presented throughout the book. I have to admit that this made me stop and think. Yea, why do so many histories start with the mythical Hùng Kings and not mention the historical Bhadravarman? And how many historians of “Vietnam” can even read Bhadravarman’s fifth-century inscriptions in Sanskrit anyway? And how about all of the inscriptions in Cham? Many were written centuries before we have any evidence of writings by the Viêt. If we take writing as the beginning of history, then history in that part of the world begins with the Cham, as they started writing long before the Việt. In which case, why talk about the ancient history of “Vietnam”? Schweyer notes that the term doesn’t make sense for early history, so why use it at all? Schweyer’s book is intended for a popular audience but its “Cham-centric” presentation is also a wake-up call for scholars. It’s time to re-conceptualize and rewrite the early history of the eastern part of the Southeast Asian mainland. Such an endeavor will require a good deal of work and imagination, but the first step is obvious – discard the term “Vietnam.” It’s completely anachronistic. Reverence to the August Mahadeva Bhadresvarasvami!! This entry was posted in Archaeology [Khảo cổ học], History [Lịch sử] and tagged Anne-Valérie Schweyer, book review, Liam Kelly. Bookmark the permalink.